Baek Seung-bin tackles a heavy topic with humour, horror and hope. Do not be fooled by the outwardly cheery title of Baek Seung-bin’s I Have A Date With Spring – the film is actually about individuals whose birthdays fall one day before doomsday. For a country like South Korea, which has been branded as “Hell Joseon” by its own youths in the media, who see it as a hopeless place to live in and one that is close to hell, this fatalistic and depressing premise may not be much of a surprise. 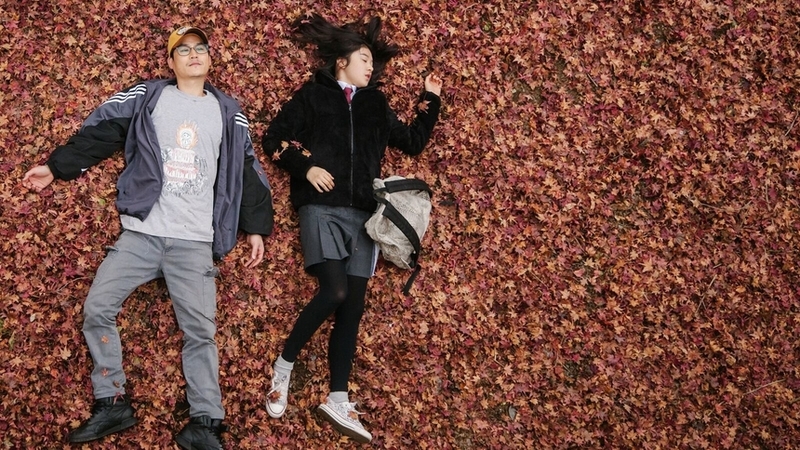 Still, despite its apparent social-realist intentions, I Have A Date With Spring is a playfully subversive tragicomedy, one which lightly reflects the present-day anxieties of South Korea’s increasingly competitive and fragmented society. The film made its world premiere in the Hivos Tiger Competition section at the International Film Festival Rotterdam. 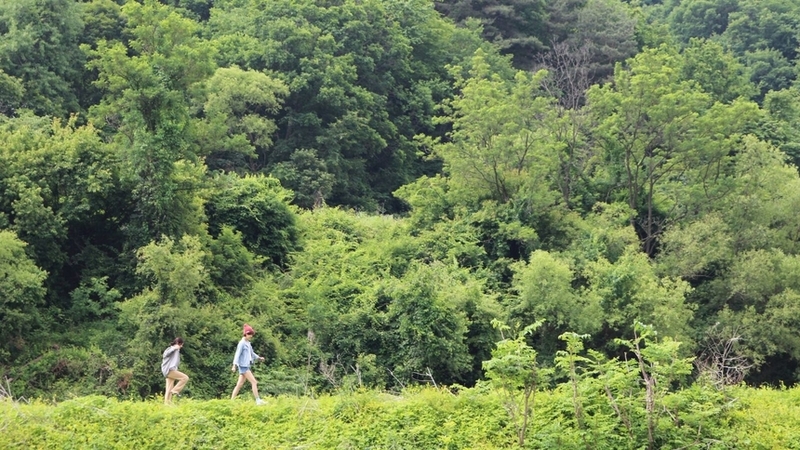 A struggling filmmaker (Kang Ha-neul) is camping out in a forest on his birthday. Suddenly he hears a strange explosion and is visited by four strange individuals. Claiming to be his fans, they offer to give him a birthday present if he reads them his new script. It centers around three individuals whose birthdays fall on the day before the end of the world, with each receiving a mysterious birthday present from strangers that will change their lives. High school student Lee Hana (Kim So-hee) is a social outcast who has a penchant for macabre spider drawings. On her 16th birthday, she befriends a peculiar middle-aged man (Kim Sung-kyun) who similarly shares her desire for the earth’s destruction. Next, overworked housewife Ko Su-min (Jang Young-nam), once the leader of a female combative tactics organization in college, escapes her responsibilities for a day after reconnecting with a junior from the club. Lastly, unhappy, single professor Jeon Eui-mu (Kim Hak-sun), a romantic poetry scholar, experiences his own romance when he meets a young, ailing student on campus. I Have A Date With Spring is a mixed bag of tricks. There is comedy, tragedy, romance and elements of the absurd, macabre and fantastical. According to Baek, the film sprang out of his desire for “a more humane and considerate society”; to give a special and meaningful gift to people who have been “neglected in the shadows of a fast-paced and developing world.” While its scenarios are too light-hearted to seriously drive home any messages about the social ills of Korean society, Baek steers the film through entertaining tonal shifts and plot twists, escalating from carefree to disquieting moments. I Have A Date With Spring’s greatest strength lies in strong and compelling performances from a diverse ensemble cast. The three main protagonists are not particularly well drawn – essentially written as archetypes representative of distinct social strata and age – but they contain enough dimension to keep the audience emotionally invested in their fates. While the first story arc is the most random and low on incident, Kim So-hee’s precocious high school student and Kim Sung-kyun’s erratic uncle prove a mismatched winning duo. As two cynical misfits of society who embark on a short road trip together, they enliven the screen with back-and-forth quickfire banter. The message is much clearer in Baek’s second female-centric narrative – also the strongest one – that looks at the pressures of motherhood in South Korea’s Confucian culture. At the start Su-min’s identity is defined by her roles as mother and housewife, though a meeting with a spunky female junior offers her escapism from an unappreciative husband and naughty son. A scene where both girls get high in a marijuana greenhouse is brightly shot, fun and raucous, before seamlessly transitioning to darker, survivalist-thriller video game territory. The camerawork’s swift switch to a first-person-shooter point of view is by far one of the film’s most imaginative technical flourishes. It’s a pleasant change of pace before the last story, a low-key and sweet Beauty and The Beast-like parable set on the school grounds. In a nation known to be obsessed with beauty, Eui-mu as the lonely professor is encouraged to look beyond the exterior when he crosses paths with an alluring but scarred maiden, who seeks a love worth dying for. With this rich, motley crew of characters, one wishes Baek had found a way to incorporate them into a single running narrative, instead of rendering them in separate, non-overlapping story threads. Having them appear as the main content in a director’s written script lacks purpose, aside from being an all-too-convenient and lazy method to tie things together. Audiences may feel cheated, though what is at least original is Baek’s unique and light-hearted take on the prelude to an apocalypse. One might expect mass panic, media frenzy and doom and gloom on the day before the world’s destruction, but there is none of that in I Have A Date With Spring. Instead, atmospheric visuals – empty, still highways, bright blue skies, a beatific tangerine sunset, a bed of fallen brown leaves, a silent library – evoke an unusual sense of serenity and optimism. Baek mentioned in his director's statement: “The world is doomed anyway, so let’s all go nicely. And if possible, let’s go beautifully.” Indeed, who would have imagined the end of the world to look so pretty?